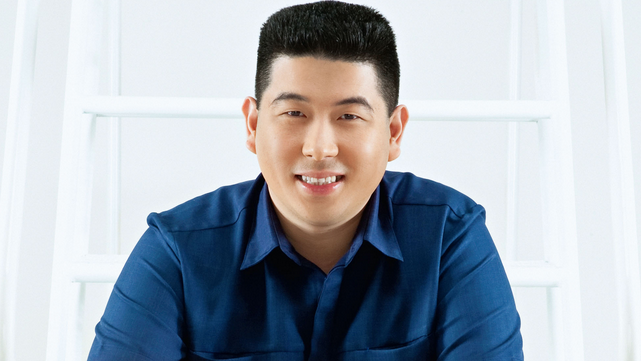 What does it take to create a billion-peso brand? Here are insights from those who know Mang Inasal founder Edgar ‘Injap’ Sia II. Only a few of us will become overnight millionaires as those lucky persons who have won the Grand Lotto jackpot. While many of us long to have the same good fortune, some of us get rich the old-fashioned way: by dint of hard work and doing good business. In that class belongs Edgar ‘Injap’ Sia II, who became a billionaire—never mind if not overnight—when Jollibee Foods Corp. bought 70% of his upstart food company, Mang Inasal, in November 2010 for P3 billion. The sale capped a seven-year rise from a humble diner at the parking lot of the Robinson’s mall in Iloilo City, serving grilled chicken inasal (a common Ilonggo delicacy), to over 300 restaurants nationwide, making it the sixth-largest fast-food chain in the country that time—and a real threat to Jollibee’s dominance in the Philippine food-service industry. Some people who know Sia very well share with us their insights about the possible factors that brought success to the young taipan. You might want to follow his lead. Step 1: Mop the floor. Step 2: Make a gamble. A son of entrepreneurs who owned a supermarket in Roxas City, Sia is renowned by his peers as a business-minded risk-taker. For instance, Injap bought and sold cars from classmates and friends soon after graduating from Iloilo Central Commercial High School, the country’s second-oldest Filipino-Chinese school, according to car salesman Jun Bañares, whose brother went to the same school. While these stories may just be part of the Mang Inasal founder’s growing folklore, Rodrigo Sangrador Jr., the top man in Iloilo for Injap Investments Inc.—Sia’s holding company with growing interests in condominium development and real estate—acknowledges his boss is somewhat of a daredevil. Proof, he says, is the gamble Sia took in locating the first Mang Inasal outlet at a parking building instead of inside a mall—and then expanding the space he rented from just 100 square meters to thrice its size. Step 3: Think of the customer. Despite the fame that business success could bring, Sia was never one to hog the spotlight. Innately shy, Injap would come to Mang Inasal stores anonymously, and when the staff did recognize him, “kapag nakita siya, sinasabi niya na huwag siyang unahin (when we see him, he’d tell us not to accommodate him),” says Ma. Remely ‘Rem’ Luaña, the present store manager of the first Mang Inasal outlet. Sometimes, Luaña adds, Sia would hold meetings at the air-conditioned portion of the Mang Inasal Robinsons outlet. But when a lunch or dinner crowd would arrive and more seats were needed, Injap would either give up half the air-con area for customers to use or give the room to the patrons entirely, moving his meeting elsewhere. 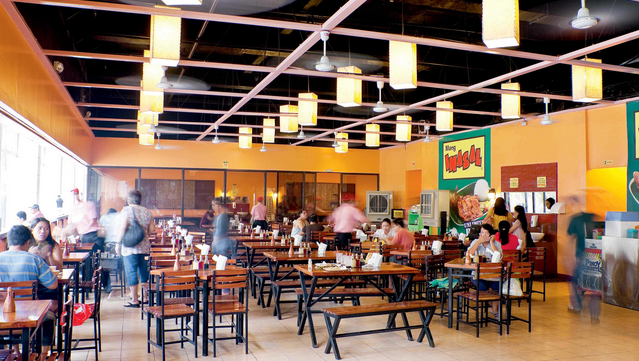 Another time, when the 320-square-meter restaurant was overflowing with customers beyond its 300-seat capacity, Injap requested Robinson’s management to let them place more tables and chairs around the store’s perimeter so around 80 more people could be seated—and the mall bosses agreed at no additional rental cost to Mang Inasal, say Luaña and Sangrador Jr., who oversees the chain’s 20 outlets in Iloilo as part of his duties. Step 4: Spread the wealth. Sia is a hero in Iloilo not only for putting up a national brand from the provinces (as opposed to starting one in Metro Manila), but also for giving opportunities to small-scale suppliers around Mang Inasal outlets across the country. 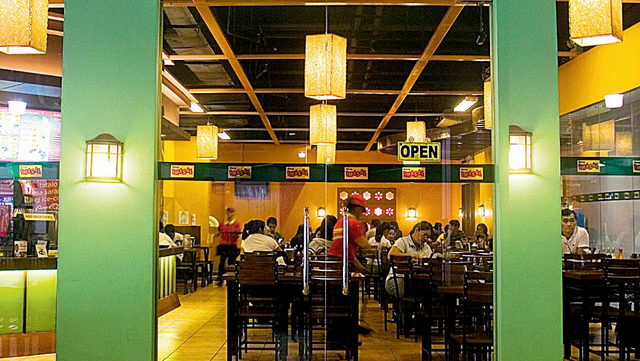 Other materials used in Mang Inasal—the rice used in the store’s trademark ‘unlimited rice’ promotion, the banana leaves used to line the wicker plates at its restaurants—are also sourced from small traders from even the most remote locations in Iloilo and elsewhere, just to ensure a level of service and consistency for the entire restaurant chain, adds Sangrador Jr. For instance, the town of Maasin in Iloilo has thrived by supplying the business with 70% of the bamboo sticks used to skewer the chicken for barbecuing. For all the wealth he’s amassed, Sia has given back to the community, both silently and through his Injap Foundation Inc. Step 5: Be unique, then franchise. Although offering chicken inasal is not an original concept, Sia built Mang Inasal’s brand on three things: a new idea, an irresistible offer, and franchising. That’s why for entrepreneurs, “the first challenge should be to grow the business so that your business will get noticed. One should be able to achieve brand position,” says Bartolome. What’s clear is that by now, Sia has become an inspiration to entrepreneurs big and small, provincial and Manila-based. 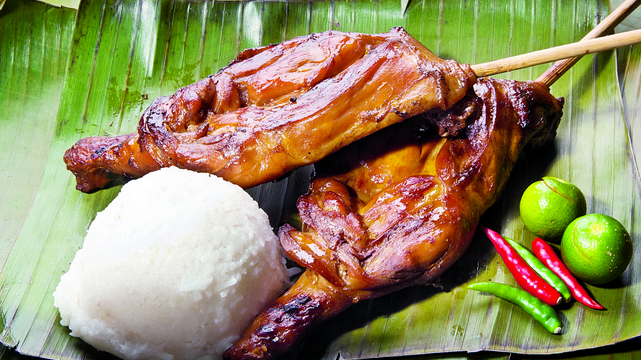 “The sale of Mang Inasal is a big boost to Philippine entrepreneurship. It gives renewed hope to SMEs (small and medium enterprises) who aspire to make it big,” says Ledesma. He adds: “Mr. Sia is not a genius. He is just a hard-working guy with a new idea… Anyone can follow his footsteps if they are also willing to mop the floor.” So for those who missed on that enormous lotto jackpot, it’s time to start mopping. This article was originally published in the January to February 2011 issue of Entrepreneur magazine. To subscribe, click here.